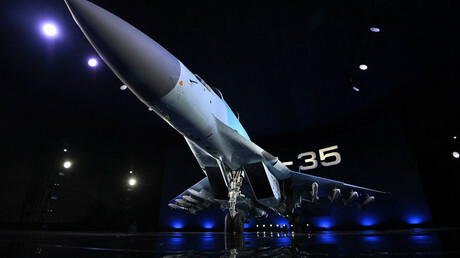 Russia has launched flight tests of its latest lightweight fighter, MiG-35. The military aircraft, which has been constructed to be potentially equipped with laser weapons, will in the near future replace previous generation jets in the Russian Air Force. The new fighter jet by the Mikoyan Aircraft Corporation (MiG) can fly at speeds of over 2,700 km/h (1,700 mph) and reach heights of up to 17,500 meters (57,400 feet). Its strike radius is 1,000 km (620 miles), while it can be in action twice as long as previous generation fighters, as there is an option to replace the second pilot's seat with an extra fuel tank. "The 3,500 kilometers [2,175 miles] that MiG-35 is able to fly suits us very well," Russian Air Force Commander Viktor Bondarev has said. According to Bondarev, flight tests of the new fighter are expected to be completed in summer this year, right after which a contract to purchase 30 MiG-35 jets will be concluded between the Mikoyan corporation and the Russian Defense Ministry. 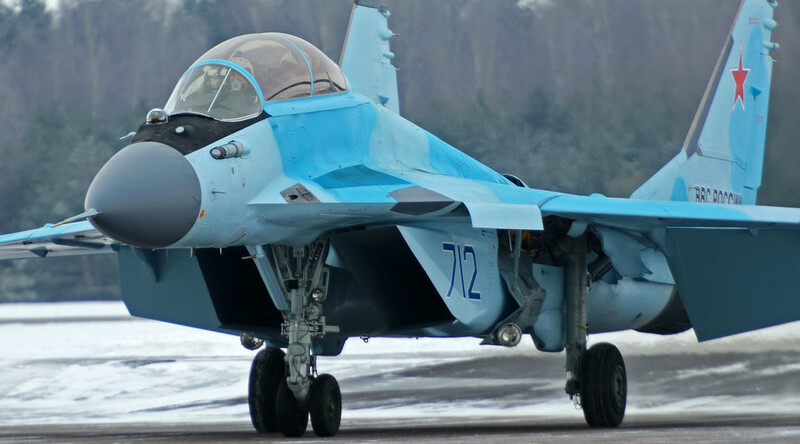 "Then in a short while we will replace the whole fleet of lightweight fighters with such jets," he added, saying there are plans to purchase no less than 170 MiG-35 planes. At the international premiere of the fighter, which took place in the Moscow region on Friday, the head of Russia's Air Force confirmed that the new multifunction military jet will also be deployed in tests of laser weapons right after its flight trials are concluded. The president of Russia's United Aircraft Corporation has said that the MiG-35 is designed to use laser guns in the future. "The fighter is designed especially to carry out military tasks in conflicts of higher intensity, in conditions of high density of air defense," the head of the corporation, Yury Slyusar, said at a meeting in the Kremlin on Thursday. Saying that thanks to its new onboard equipment, which provides for a much lower radar signature, the construction of the MiG-35 "allows the use of both current and future munitions, including laser weapons." Russia's President Vladimir Putin has congratulated "the designers, engineers, workers and pilots" on the launch of the MiG-35 flight tests, which he called "an important event." During a video conference with the testing site, Putin also expressed hopes that the fighter will not only strengthen the Russian armed forces, but will also be in demand with international buyers. "Our other aircraft, the MiG-29, is actively used in more than 30 countries, with a good infrastructure and well-trained staff providing for the use of such Russian fighters," the president said. While the latest Class 4++ MiG-35 jets are being tested, the Mikoyan corporation will start developing new, fifth generation fighters, Russia's Deputy Prime Minister Dmitry Rogozin has announced. So far, fifth-generation F-22 and F-35 aircraft are only deployed by the US Air Force.